Drain a small amount of engine coolant. 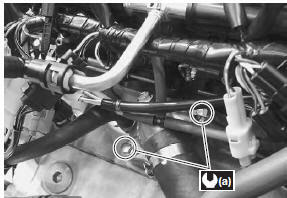 Refer to “cooling system inspection” in section 0b . Remove the thermostat cover (1). Install the thermostat in the reverse order of removal. air bleeder hole “a” of the thermostat faces upside. Tighten the thermostat cover bolts to the specified torque. 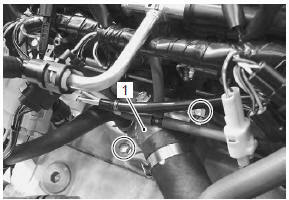 Pour engine coolant and bleed air from the cooling circuit. 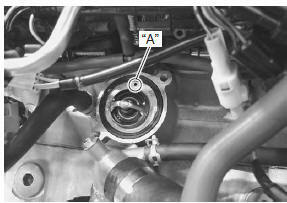 Refer to “cooling system inspection” in section 0b .